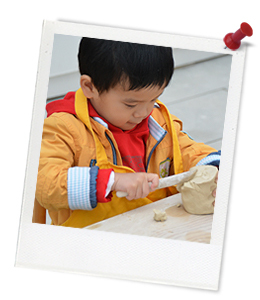 Quick summary: This activity is focused on learning through play and hands-on activities. 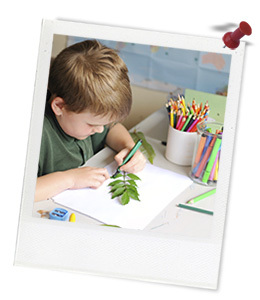 Children will experiment with ways to join various materials together, including old marker pens and natural materials to create their own sculptures. Children begin by exploring what artists make and finding out about what a sculpture is. They question what happens to things when they don’t work anymore and discover ways to reuse materials in artworks. Children will also go outside to collect things from nature to incorporate into their sculptures. By the end of the activity, you will have photographs of all the children’s sculptures which you can share with other children, educators and parents. Faber-Castell has long understood the importance of creativity to all people, especially to young people. It is also continuously searching for environmentally friendly processes and high-quality materials to enhance children’s creative experience throughout every development phase. For more information about Faber-Castell, click here. Resources required: Connector pens or marker pens (at least 5 pens per child is recommended. It’s ok if the pens don’t work). Access to an area where children can collect a range of natural materials (like twigs, gumnuts, leaves, etc.). Blu tack, sticky tape and/or rubber bands. Containers (for collecting natural materials). Plasticine or playdough. Camera (to be used by the educator). In this course, you will learn how to use thinking tools that dig deep into a topic, guide reflection and develop the general capability of Critical and Creative Thinking. Educator content information: Did you know that the plastic bodies of Faber-Castell connector pens are made of recyclable plastic? When they run out of ink you can pop off the gold end, remove the ink and throw them in the recycling bin. But even better than recycling - they can be reused. Because of their clippable design, connector pens can be used to make creative sculptures and objects. Plastic is an amazingly versatile material and we use it every day in many different forms. But we also throw away vast quantities of plastic, and when it gets into the natural environment it can cause problems. The life of a plastic object can be extended by finding other ways to use it before putting it in the bin.